Already known as one of Marvel’s Super Heroes, Big Hero 6 is featured in his own CGI comedy film created by Walt Disney Animation Studios. By cleverly combining Eastern and Western cultures, the movie makers have ensured that the film appeals to a worldwide audience. 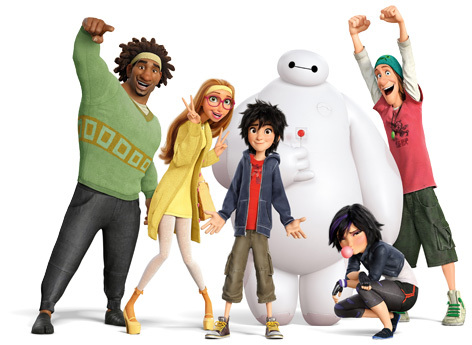 Set in San Fransokyo (a clever combination of Tokyo and San Francisco), characters like Hiro Hamada, Baymax, GoGo Tomago Wasabi and others join forces to solve a crime. Bandai were one of the first makers to sign a toy manufacturing licence. Their experience in creating ranges of collectable figurines, action figures, playsets and vehicles guarantees that kids can play with the most realistic Big Hero 6 toys possible. Their selections include role play items like the Baymax Rocket Fist, characters like the DX Flying Baymax and action figures of the kid’s favourite personality. That’s far from all however, with other companies making Baymax kites, notebooks, backpacks and t-shirts as well as other items of apparel. Such is the confidence in this film’s success that ranges of sunglasses, caps and watches as well as children’s wall and room decorations are all available at the movies launch.